There are a number of changes in the tax code that you will need to factor into your tax planning as well as strategies that have been around for years. With the implementation of new tax laws for 2018, personal exemptions are a thing of the past, some itemized deductions have been banished and some have limitations or higher hurdles. Additionally, the standard deduction is much higher than in the past, which may impact your ability to itemize deductions. With all of these changes, coupled with things that have stayed the same, it's worth, revisiting your tax strategy. The tax laws are complicated, this is not a complete list and not every strategy may be beneficial for you. Be sure to review your unique situation with your financial advisor and your tax professional before taking any action. No change here. One of the easiest and most beneficial ways to reduce your tax liability, and prepare for your retirement, is to max-out your 401(k) or similar tax-deferred account. The 2018 contribution limit is $18,500 but if you’re age 50 or older, you can contribute an extra $6,000 to $24,500. If you don't have a tax-deferred plan at work, and in some instances even if you do, you have until April 15th, 2019 to contribute to an IRA account where the limit is $5,500 per taxpayer and $6,500 for those over age 50. If your spouse isn't covered by a qualified employer plan, you may want to look into eligibility of a spousal IRA. If you are self-employed, talk to your advisor about a SEP IRA where it may be possible to contribute up to $55,000 or 25% of eligible income. The best deal going is your HSA. It is the only vehicle that has a triple tax benefit: Contributions are tax deductible, earnings are tax-free, and withdrawals used for qualified medical expenses are also tax-free. If you are enrolled in a HSA qualified plan, you can contribute up to $3,450 as an individual and $6,900 as a family (and can add an extra $1,000 if you are age 55 or older) in 2018. There is no change that impacts the age-old strategy of tax-loss harvesting. A loss on the sale of a security can be used to offset realized investment gains. Be careful not to violate IRS “wash sale” rules. 529 plans are tax-advantaged ways to pay for educational expenses. In the past, this was primarily for qualified higher educational expenses. Under the new tax rules, they can now be used for up to $10,000 of annual K through 12 primary education expenses as well. Before using any 529 funds for pre-college expenses, check with your financial planner as allowing the funds to grow tax deferred, may be more advantageous. Additionally, 529 plans may now be rolled over to ABLE plans, giving parents of children with disabilities the opportunity to move those funds. With the new tax law impacting your 2018 filing, remember it will now be more difficult to itemize deductions. With the elimination of personal exemptions and the increase in the standard deduction to $12,000 for single filers and $24,000 for couples. The hurdle to itemize becomes higher. Additionally, some expenses that were previously eligible for itemized deductions, are either no longer deductible (investment expenses including advisor Asset Under Management (AUM) fees, tax preparation fees) or limited (property taxes, state and local taxes). 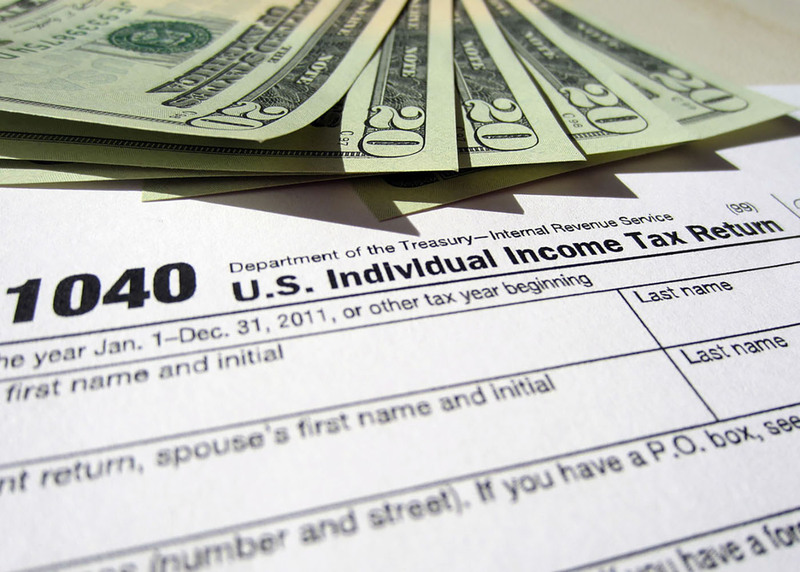 There are other changes in itemized deductions and you should discuss with your tax advisor. Mortgage interest and charitable deductions are typical expenses that brought itemized deductions higher than the standard deduction in the past. But that may longer be the case come this tax year. Which leads us to the concept of “bunching” expenses. Bunching means concentrating your potential itemized tax deductions in a single tax year, then skipping those expenses in the following year(s). For instance, instead of making an annual charitable gift as you have in the past, consider providing multiple years of gifts in a single year. That larger single year donation may open up itemized deductions for that gift as well as other eligible items. A DAF may allow for a tax-deductible contribution of cash or appreciated assets in a single year but allows the donor to control the timing of the actual distributions in future years. Check with your tax-advisor on the appropriateness of a DAF for your situation. The new tax law has lowered some income tax rates and changed income thresholds for different tax brackets. If you have saved money in a Traditional IRA, and your taxable income for 2018 is lower than you expect it to be in future years, you may want to discuss the implications of converting some of that Traditional IRA to a Roth IRA. To do so, you will pay taxes on the conversion up front, rather than when you withdraw the funds, and will owe no taxes on any future earnings. If your income will be higher in the future or in retirement, a Roth conversion could save you some money. Talk with your financial planner and tax advisor if you think this may be beneficial for you. If you are age 70 ½ or older and required to take distributions from tax -deferred accounts, you can make a QCD directly to a charity. The amount will count as a Required Minimum Distribution (RMD) for the year but is NOT included in your gross income for tax purposes. This can be a significant benefit for taxpayers who make charitable contributions, especially those with high incomes. These rules are complex so discuss with your financial planner and tax advisor. As noted above, this not a comprehensive list but a reminder that there are strategies you can take to lower your tax liability prior to year-end and plan for future tax years. As always, check with your financial planner and tax advisor on your specific situation. Fialkow Financial Planning provides advisory services on a fee-only, hourly as-needed basis to people from all walks of life and income levels without the need to sell products, receive commission or referral fees, or charge based on percentage of assets under management. I believe hourly-based fees are the most objective and prudent way to provide and receive financial advice.